Our gym will be closed starting from this Saturday 21st of January until the 29th. Thanks to Rino’s help, we have a place where to train! Link and map: http://www.ctdance.net/rooming.aspx or Page on Dianping. That place is close to Yingshan (The Japanese Restraurant where we had few dinners). — Starting from Monday 30th, we will be back to our usual schedule and venue. Should you have any doubt please read again this post. Thank you and happy Dragon Year! 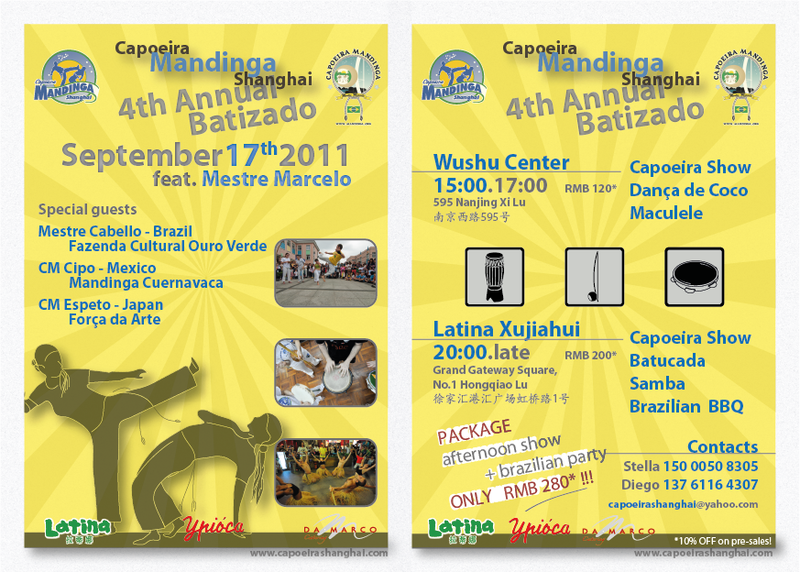 Capoeira Mandinga Shanghai’s 4th annual Batizado and Troca de Cordao will take place on 16th, 17th and 18th of September. Workshops, rodas, performances, party: it’s going to be a massive event! Xujiahui, Grand Gateway Square, 1 Hongqiao Rd. Starting from Saturday 12th of June, we will have class with Contra Mestre Carcará. With the exception of Thursday 17 and Friday 18, all the classes are open to both beginners and less beginners. Due to the Chinese New Year, the gym will be closed from Saturday 13th until Friday 19th of February. Last class before the CNY will be on Thursday 11th and first class after the holidays will be on Saturday 20th. 138RMB all you can eat, Donghu Lu n.30 by Huaihai Lu. 东湖路靠近淮海路. 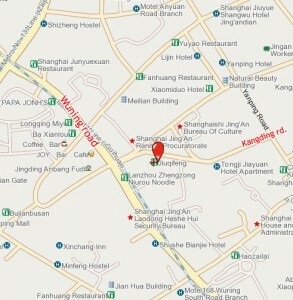 Address is: n.299 Xuanhua Lu (near Dingxi Lu), Bld. 4. (una tantum: it’s only for this Saturday). 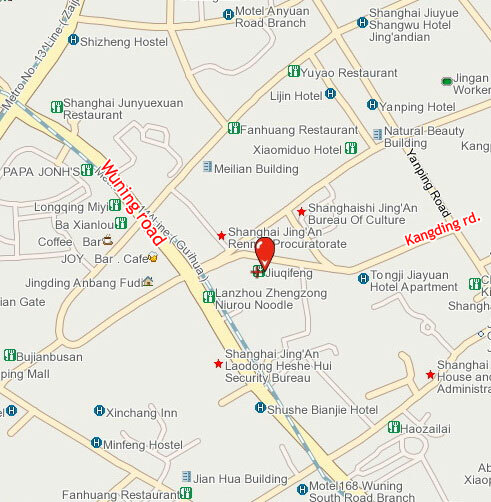 Starting from Monday 3rd of August classes will take place in the gym in Kangding Lu (address and map is here). The only difference with the old schedule will be Wednesday (we’ll start at 8:00pm instead of 8:15pm) and Saturday (we’ll start 4:30pm instead of 5:00pm). Should you have any doubt, read again this post. We’re still looking for a venue starting from September so please keep your eyes opened! Starting from next week the schedule of the classes will change! There will be an intermediate class on Wednesday starting at 20:15 in the other room of the same gym; Thursday will become beginner class. Only Wednesday class will be held in the other room with the wooden floor. Again, everyone is invited to come to all the classes but beginners should give the priority to beginner classes; the ones with more than one year of capoeira should give the priority to intermediate classes.